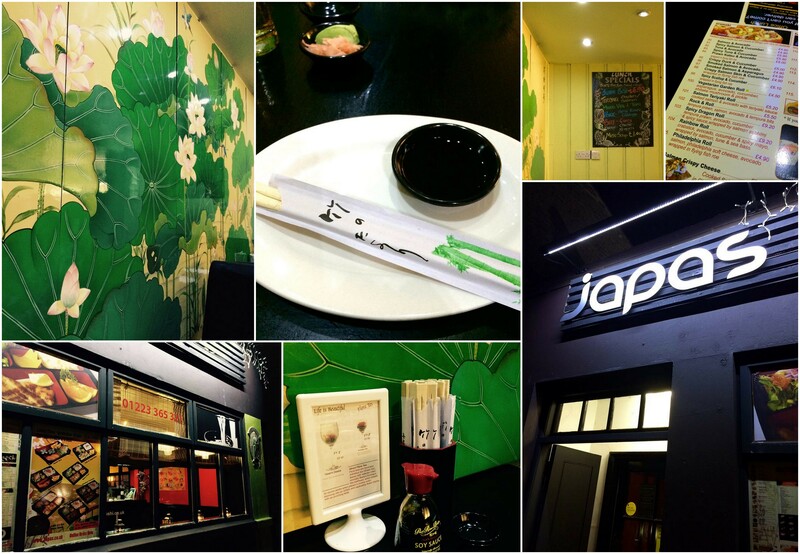 Japas isn’t the type of place where you go and linger over a long meal. It’s casual and the ambience is plain and functional, especially on the lower ground floor, just down the short set of stairs. But you know what? That’s precisely what I like about it. I know I’m going to get a good meal and I’m going to get it fast. The quality of the food is always consistent. 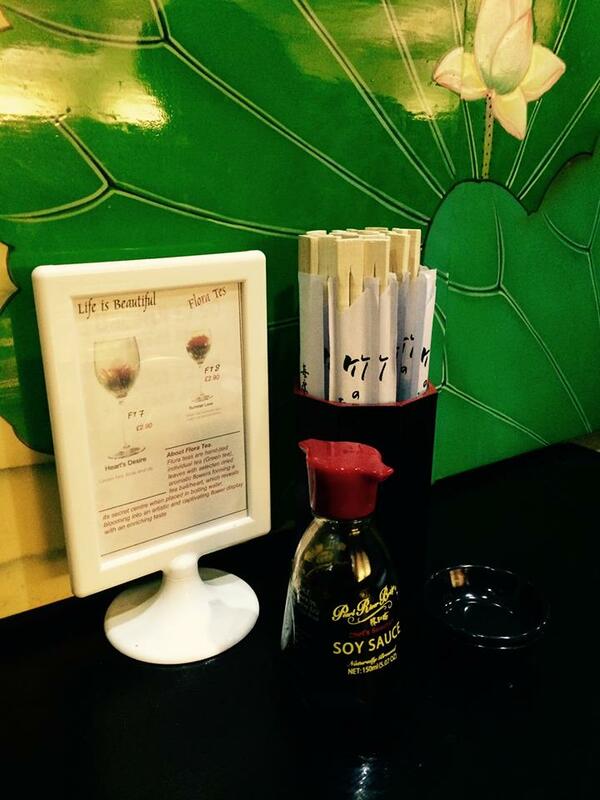 Sometimes you need a reliable place for good food… no fuss, no hassle, no formality. 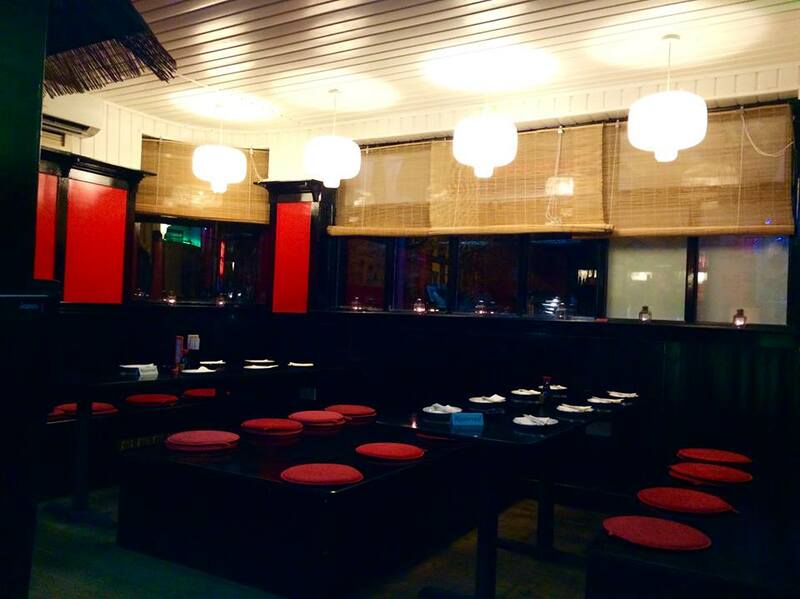 Having said that, the ground floor has a charming area for large groups, which features two long tables of eight. These need to be reserved in advance and I can see how this area between the front window and the bar is a more convivial and atmospheric dining experience. I go to Japas so often that the Manager recognises me and gives me my favourite table, whenever possible. It’s a smallish table for 4 but its suits Paulo and I perfectly as we tend of order lots of dishes! As in most sushi establishments, orders are placed by noting the number of the menu items on a form (this includes drinks as well). I find this system quick and it avoids any misunderstandings. Service has always been friendly and efficient. 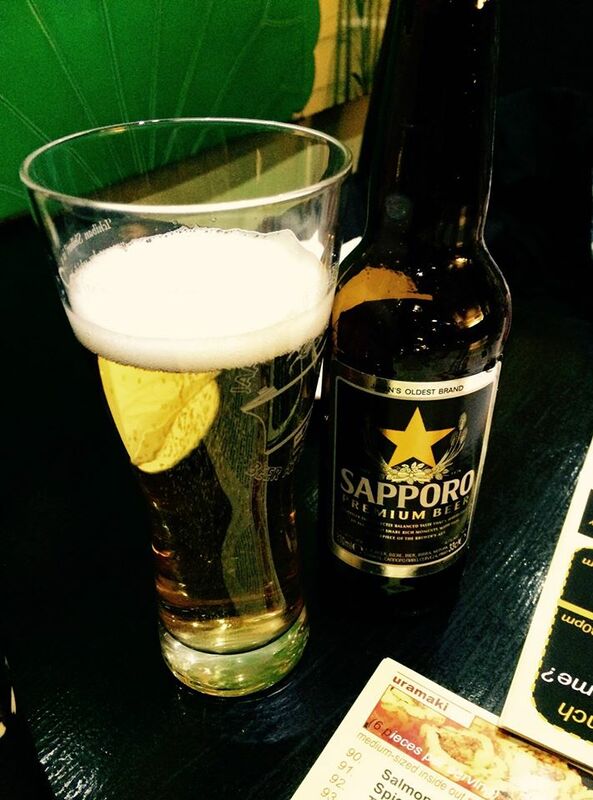 Paulo tends to order Japanese beer, Kirin Ichiban or Sapporo. The crisp, clean taste pairs well with sushi and tempura. I love the Hot Japanese Tea (green tea by Yamamotoyama). One tea bag goes a long way and I always get a top up of hot water without even having to ask. 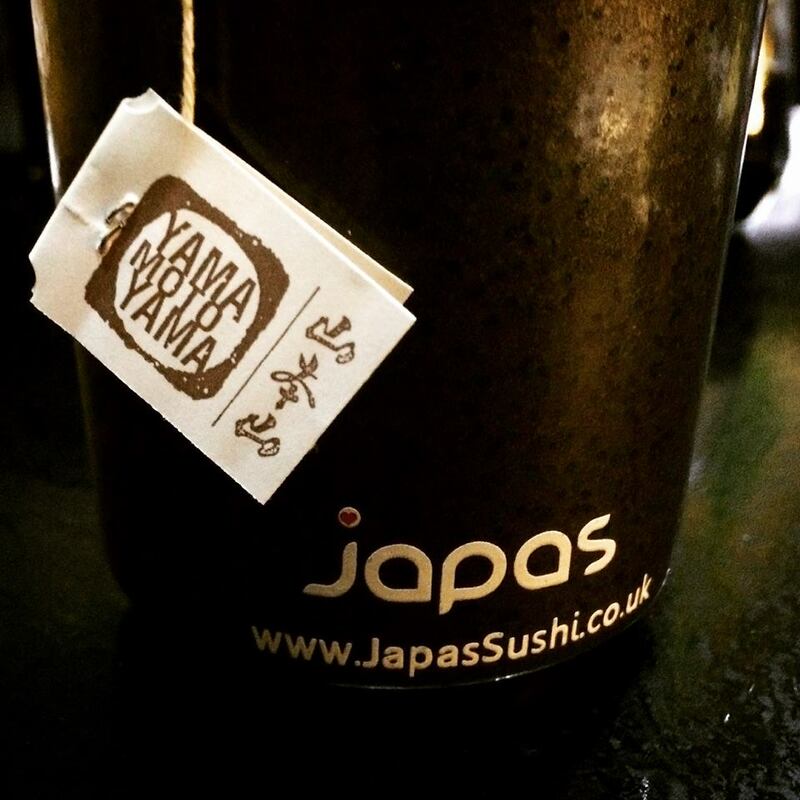 The tea goes so well with Japanese food. Dishes are brought out at different times, but I find that tempura always comes out first. This time we had the Ebi Tempura (5 pieces of king prawn) but when we’re feeling particularly peckish, we order the vegetable tempura as well (the Yasai Tempura includes 8 pieces of assorted veggies). 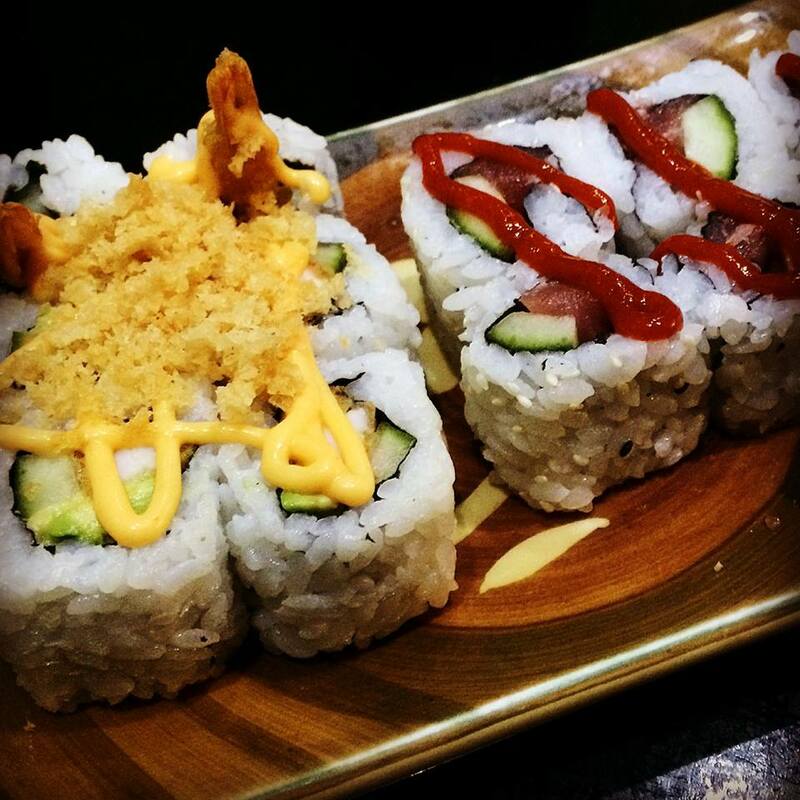 Both come with a flavourful tempura dipping sauce. 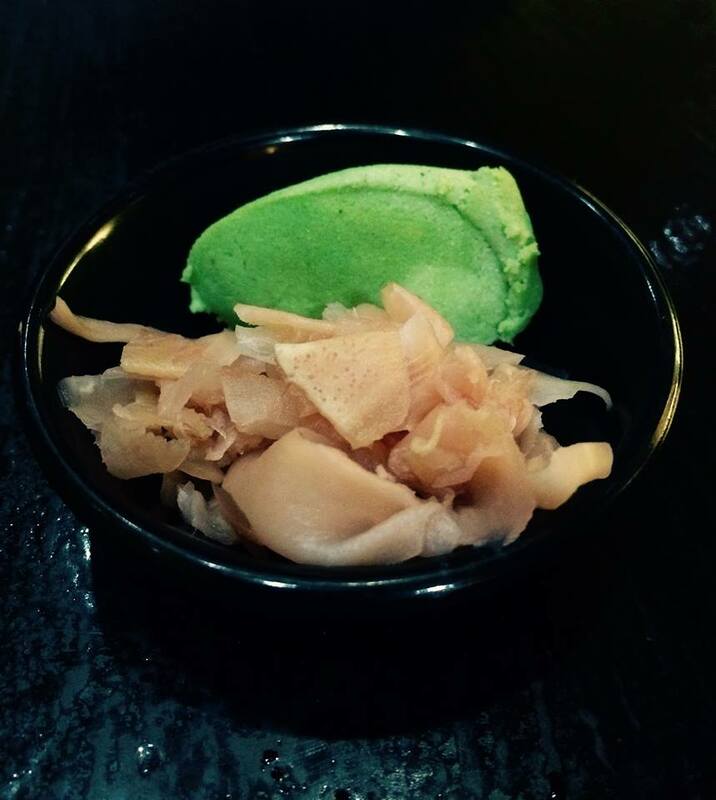 Next comes the parade of sushi dishes, served with the obligatory wasabi and ginger in a little bowl. I can never resist the temaki, which is a cone-shaped hand roll with nori (seaweed) wrapped around rice and a choice of fillings. We particularly like the salmon and tuna at Japas so we usually choose this plus a vegetable such as avocado or cucumber. 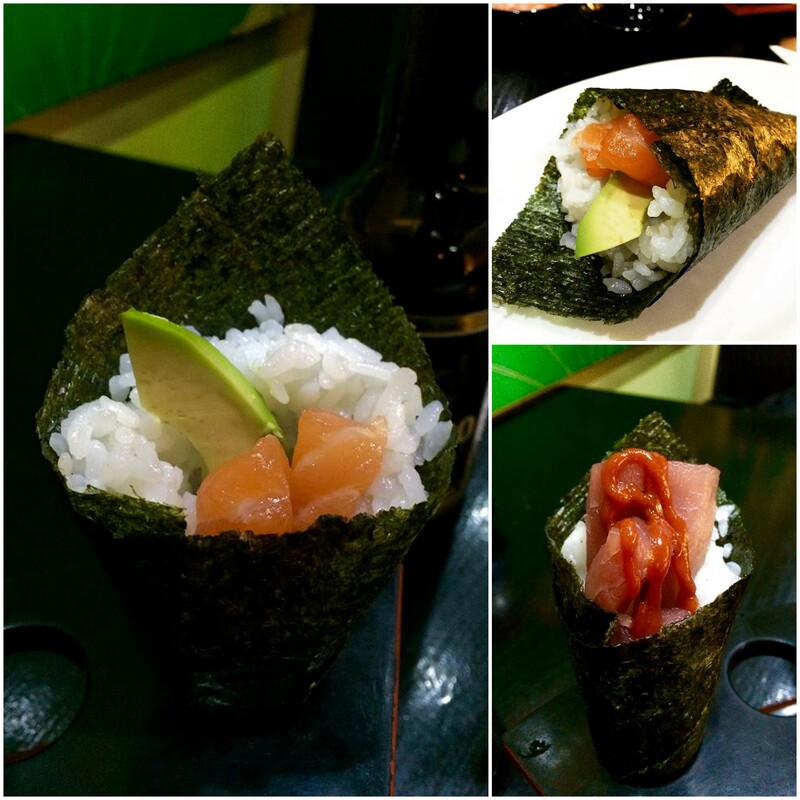 This time we had the Salmon & Avocado Temaki and Spicy Tuna & Cucumber Temaki. The nori is always fresh and crisp, not soggy. I hate when it becomes chewy and hard to bite into… never the case here. 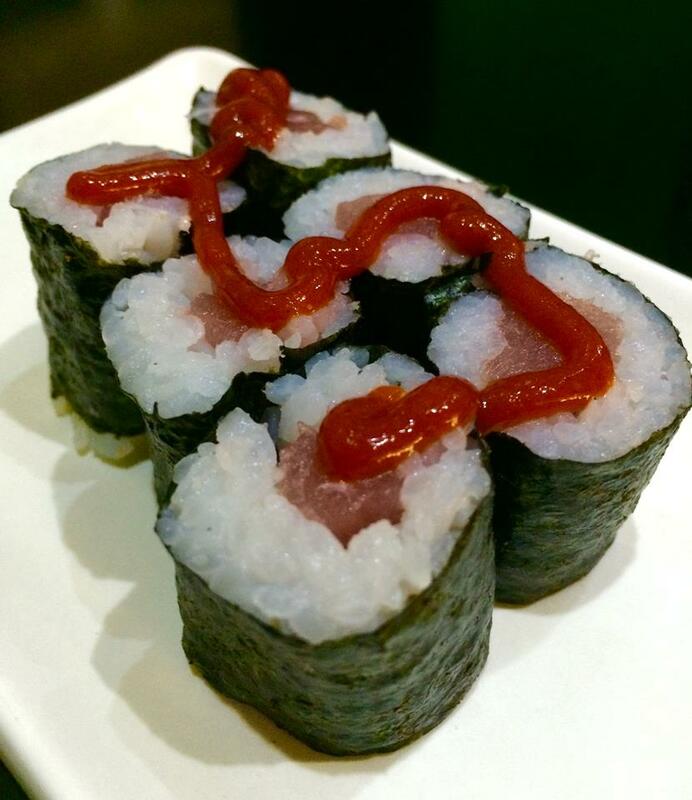 It’s worth noting that menu items described as “spicy tuna” means there is a tangy sauce squeezed out over the tuna, as in the Spicy Tuna Hosomaki photo below. These are 6 small seaweed rolls of rice and tuna. The sauce isn’t spicy-hot but it definitely gives the dishes some extra flavour. I love the various rolls at Japas but I can never resist getting a good dose of fresh salmon and rice (Salmon Nigiri – Sake). The nigiri consists of two pieces per serving, and the fish is substantial. I’ve been to sushi chains that serve wafer-thin slices of salmon on the rice… what’s the point? The uramaki rolls are my favourite. These are medium-sized rolls with various fillings wrapped in rice (some rolls have salmon sashimi or flying fish roe wrapped outside the rice – yum!). I find the choice of fillings varied and delicious. 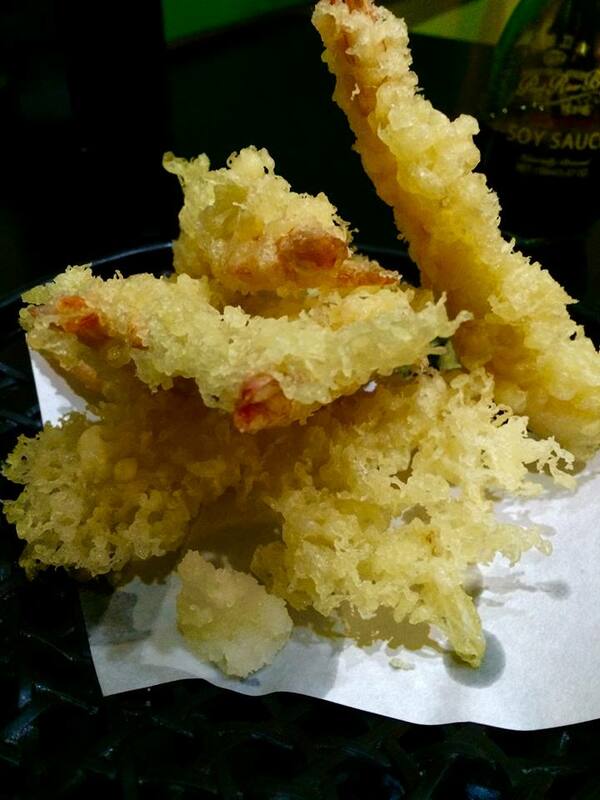 I love the ones with crispy bits of tempura! 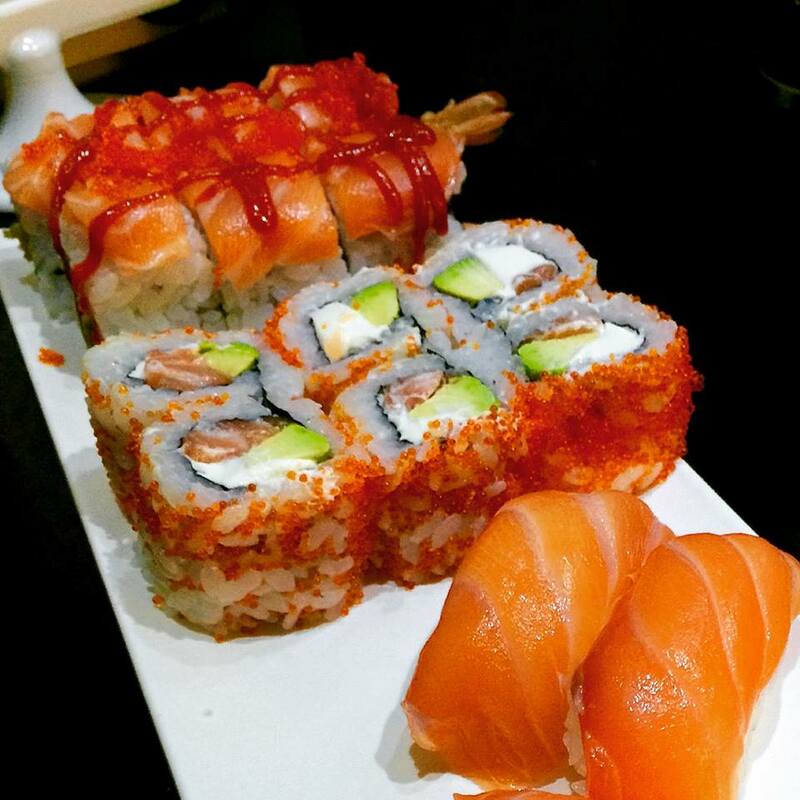 Rock & Roll Uramaki with tempura prawn, salmon, avocado and tempura bits… addictive! Spicy Dragon Roll Uramaki with tempura prawn, avocado, cucumber and spicy sauce, wrapped by salmon sashimi. This one’s chock full of ingredients so costs a bit more… so worth it though. 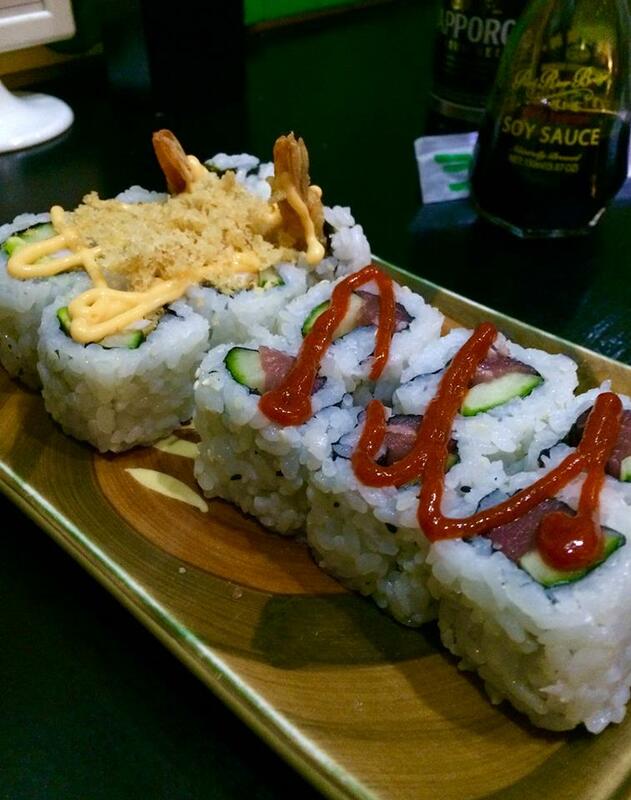 Spicy Tuna & Cucumber Uramaki… with that spicy sauce that goes so well with tuna. And I always save this one for last…. I find the velvety soft cheese texture is the perfect way to end the meal: Philadelphia Roll Uramaki featuring salmon, Philadelphia soft cheese and avocado wrapped by flying fish roe. 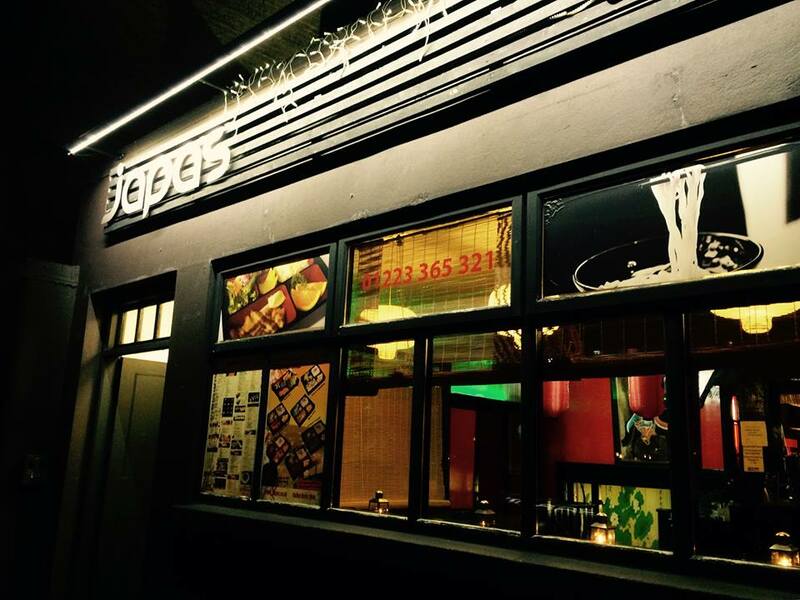 If you’re looking for good sushi then Japas is definitely the place to go. Just remember that you’re going for the food, not the decor. 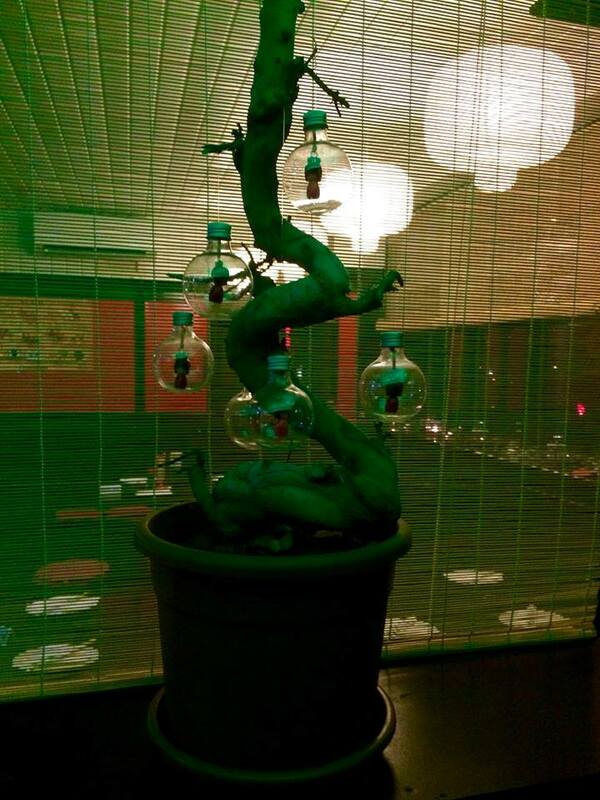 Check all preconceptions at the door and you’ll have a fabulous eating experience! If you can’t get past the lack of ambience, there’s always take away or home delivery (if you’re relatively local, check first). This entry was posted in Restaurants and tagged avocado, Cambridge, ginger, green tea, hosomaki, Japanese beer, Japas, Kirin Ichiban, nigiri, prawn, rolls, salmon, Sapporo, sushi, tempura, tuna, uramaki, wasabi, Yamamotoyama by One Two Culinary Stew. Bookmark the permalink. Have been meaning to take my boys for ages.. must get onto it! Lots of families there with their kids. Your boys will like it!